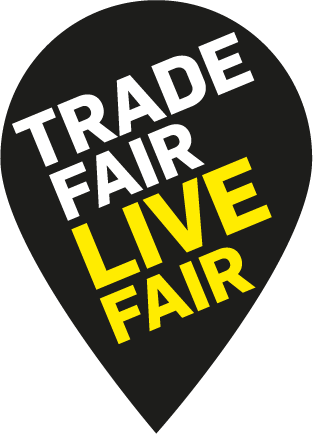 Wednesday, 24th April 2019 10 am – 12 pm. Fashion Question Time is a powerful platform to debate the future of the fashion industry during Fashion Revolution Week. This year, we are opening to the public for the first time. This year our theme is Tomorrowland: how innovation and sustainability will change the fashion panorama. Chaired by Baroness Lola Young of Hornsey, the panel will follow a BBC Question Time format with a diverse range of leading experts from across government, academia and the fashion and textile industry adding their own voice to the debate about how innovation and sustainability must be accelerated to change the fashion panorama. 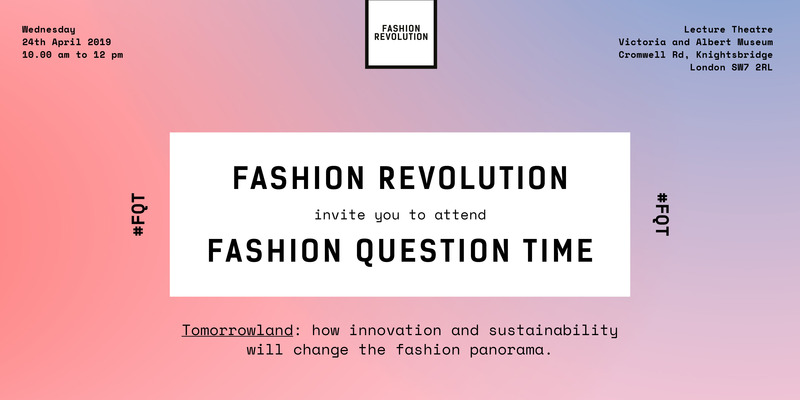 The debate is dependent on the quality and diversity of the questions we receive, so please can you email any questions for the panel to RSVP@fashionrevolution.org. If your question has been selected, we will let you know in advance of the event. The event will be followed by an opportunity for members of the press to talk to the panellists and the Fashion Revolution team. All interview requests must be emailed to RSVP@fashionrevolution.org in advance of the event.